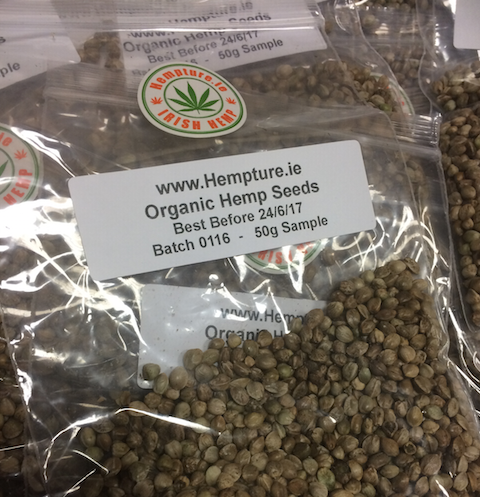 Organic Hemp Seeds now on sale in Ireland!! Organic Hemp Seeds now on sale!! After quite a lot of requests we have now begun to sell our Hemp seeds to the public. 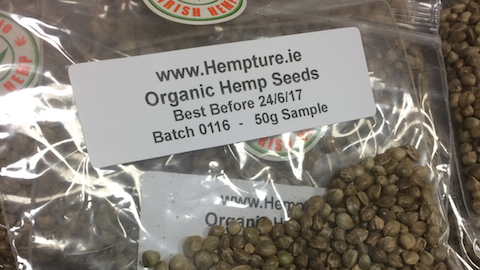 Fresh organic Irish hemp seeds shipped directly to the public from Dublin & Wicklow for the first time in Irish history. Hemp seed and the oil contained inside has been dubbed, “Nature’s most perfectly balanced oil” due to the fact that it contains the perfectly balanced 3:1 ratio of both the required essential fatty acids (EFAs) for long term human consumption. Omega 6 -Linoleic Acid (LA) : Omega 3 – Linolenic Acid (LNA). Hemp oil is also an excellent source of the LA derivative super-polyunsaturated Gamma Linolenic Acid (GLA) at 2.5-3% of volume* * Based on EFA composition noted in research crop reports conducted in Manitoba and Canada during the last three years. MAKING HISTORY – 20th June 2016 – 2ml Sample CBD oil now available in Ireland. So finally after 2 years of tears, sweat, and love, and a real deep dedication from personal experience we have finally become ready to allow you to see for yourself the real benefits of CBD. 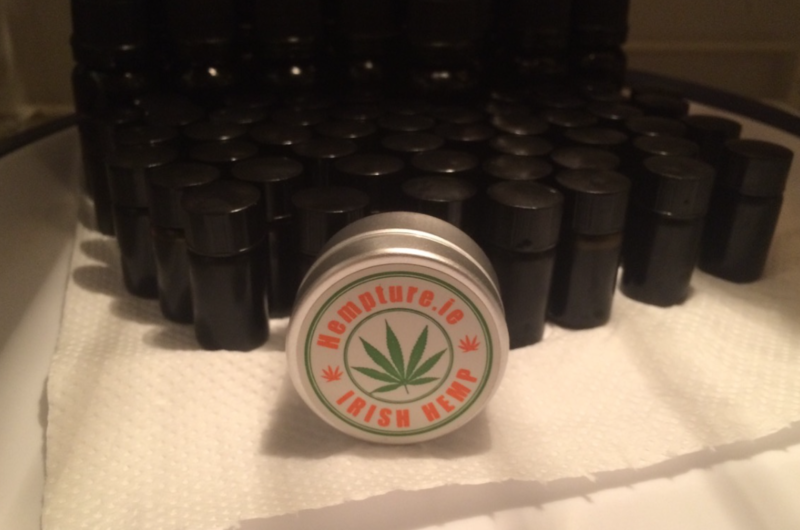 For the first time in Irish history we have Organic pure CBD oil available to the public. Our first 2015 harvest was sold off the books before we even went into production. 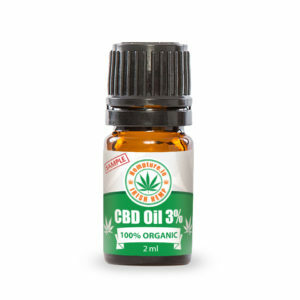 Over the last year we have been working towards a 2% CBD concentration, however, were have now reminded our product to contains 3% of pure CDB. This is the first 2016 samples available as of 19/6/2016. Due to the limited amount of samples we have restricted it to just 1 per person. We want as many people as possible to have access. All items are shipped from our Dublin or Wicklow land and are generally delivered next day or following day via Registered An Post.